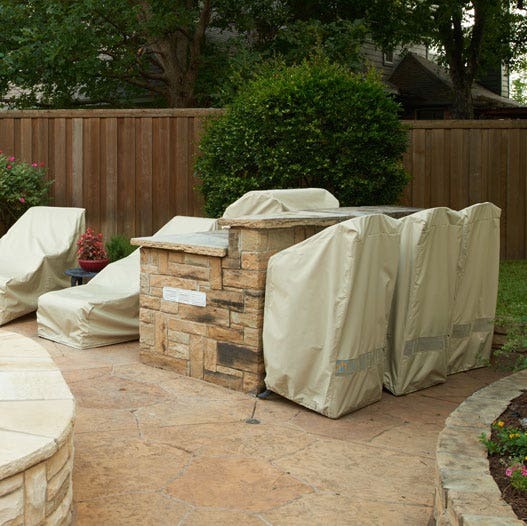 Coverstore's quality outdoor canopy swing cover is the ideal solution for keeping your canopy swing dry and undamaged. 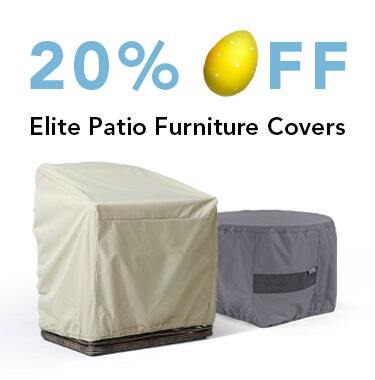 Note: If you're looking to cover your patio swing bench only, try our smaller patio swing covers. 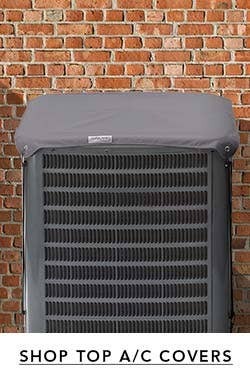 To prevent mold and mildew from growing underneath the covers, we've included a mesh vent for proper air circulation. Also included are reinforced grommets on the bottom of the canopy swing cover to allow it to be tied down to your patio swing set. 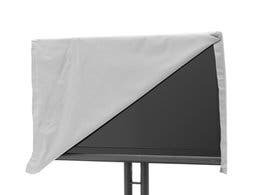 Our Covermates canopy swing cover is made to be simple to use, and with the zippered flap, it can be used year-round without being removed. 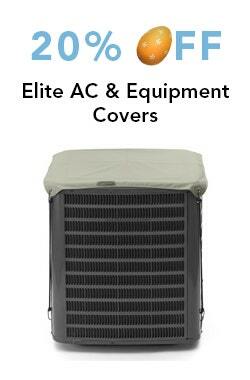 We offer a 3-year manufacturer's warranty on every Elite canopy swing cover we sell. Great quality , fast delivery , fair price , what more can you ask for . 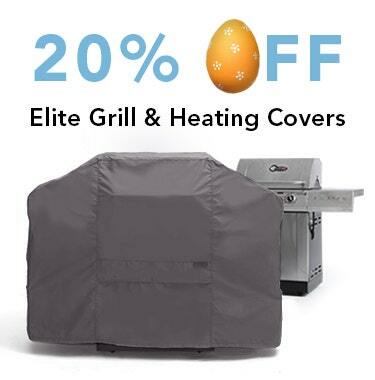 I'm sure I will be ordering more covers soon . Very good product! Just as described in the order. Fit is great too. This swing is great. It has been up all winter and when I check inside the cushions are dry and it gets warm in there like a green house. It would be nice if there was one additional rivet on the short ends and 2 more on the long. It would also be nice if when it is rolled up a screen is attached. Cover was great, but I had to return it. Unfortunately, the depth measurement for the swing is 10" smaller than the canopy measurement. Should have measured the canopy instead of the swing. Stupid on my part. Coverstore doesn't have the correct size, otherwise I would have reordered a replacement. Great features, workmanship and detail. 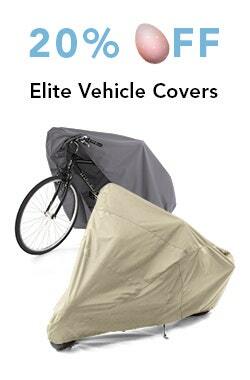 Definitely would recommend this cover. 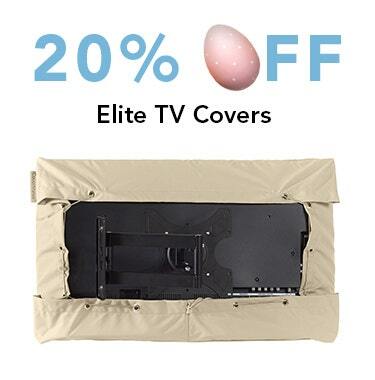 cover looks to be of good quality . shipping super fast. very good. Good quality, fine craftsmanship. Too large for swing but since it was the only item I saw available, it'll do just fine. Delivery service fast. 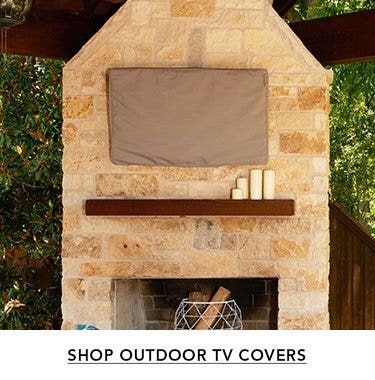 The patio swing cover is excellent quality. After having our swing cover for almost a year, we had some very high winds and the zipper was damaged. We received a new cover very quickly and have not had another problem. Saves the fabric on the swing. This is exactly what I needed! Ordered this and got it quickly! Looks great, works very well! Thank you for a great product and great service! we ordered a canopy swing cover probably 10 years ago and it stayed nice for years before the zipper broke on one side. we ordered a new cover, which arrived very quickly but within less than six months the zipper broke on this new cover. there are only two retired adults in our house so it is not being mistreated. the fabric is nice, stitching is strong, the zippers are not sturdy enough. definitely disappointed with this one. We are very pleased with our patio swing cover. Our only problem was with ordering - even measuring several times & double checking resulted in our receiving the wrong cover due to the material. Then we had to pay return charges. Call & order, dont assume you have it correctly ordered. I think that could be made much clearer to customers & eliminate that problem. Other than that unnecessary problem we love the cover.  The quality appears excellent, the size correct & the color perfect. It straps down well to hold up against winter wind & prevent weather damage to our swing, What more could we ask of a cover. Probably the best thing I ever bought. 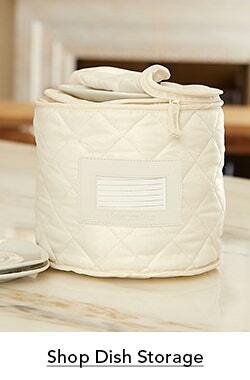 I can throw all my cushions in here, zip it up and not even the strongest wind or heavy rain will get them wet. Just remember to tuck the side panels under the legs so the weight will keep it from blowing up. This cover is just what I wanted. Looks like the cover should work out well for protection of our swing set. This product is great. I am more than pleased with the service this company provides and would not hesitate to recommend them to anyone. Very pleased with quick shipping. Haven't opened package yet but as soon as my canopy swing gets moved to new location, will get it covered. 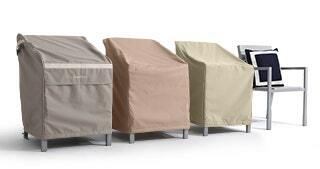 Have ordered other outdoor covers for table/w chairs and umbrella cover and totally satisfied w/those. That is why I returned back to the Cover Store for my next purchase. The swing cover is exactly what we needed - good size, weight and color. Great quality, easy ordering and prompt shipping. Am very happy. Item is now covering our lawn swing and doing the job! 2nd cover for me, the first one lasted longer than they said. Better than expected and it arrived a day sooner than projected. A bit pricy but good quality. Very Satisfied, passed it on as a gift, as mine is still in very good condition after many years of use. Very good quality, including looks and fit. Cover came on time, fit great and is good quaility. I would recommend The Cover Store to everyone. Excellent quality for the price. 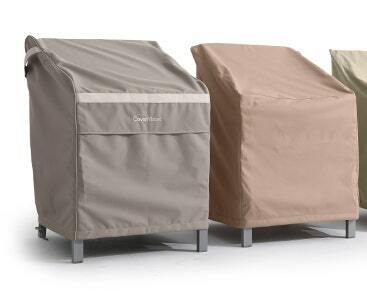 Covered furniture easily and seems sturdy enough to withstand our tough winter weather. Thanks again. This is a great cover. This is the second time ordering an elite after having the first one last for about 5 years. They shed water very well as well as snow. When this one wears out, I will buy another. I was pleased with my recent order. i'll really will be able to tell at the end of the season . I'll remove my canopy swing cover in the spring ,l'll really know of my results then. So far so good. The free standing swing cover is GREAT! Oregon rains & wind are giving it a good trial . With tie downs through the lower grommets and the canopy slanted for water run off, it couldn't be any better.Thanks for a great product!! to our amazement a perfect fit...as we bought a 3 personswing chair w/small table extentions. it was assumed that we would have to remove the extentions..but the cover was flexable enough to do its purpose....material is of better quality then expected. We bought this in the Elite material and green color. We love it and it arrived quickly. 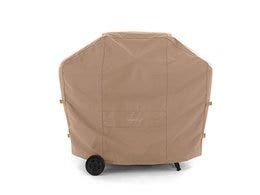 You can even open the front and enjoy your canopy swing without removing the cover. I purchased the Canopy Swing Cover. Very happy withmy purchased, Would recommend this product. Great product! Very pleased with the cover that it provides. ,Very well constructed cover. I was surprised to see how heavy the fabric and ripper were especially for the price we paid. Thank you for a well manufactured product." This past summer I had purchased the cushion cover for our patio swing and was very pleased with the quality. During our harsh winter here in WI, the "cheap" Canopy Swing Cover that I had actually shredded in the cold & wind. Since I was very pleased with the cushion cover, I decided to see if CoverStore also had a Swing Cover.....they did, and I bought it and am very pleased with the quality and the fit. This will definitely survive our WI winters too. Thank you for your speedy delivery. 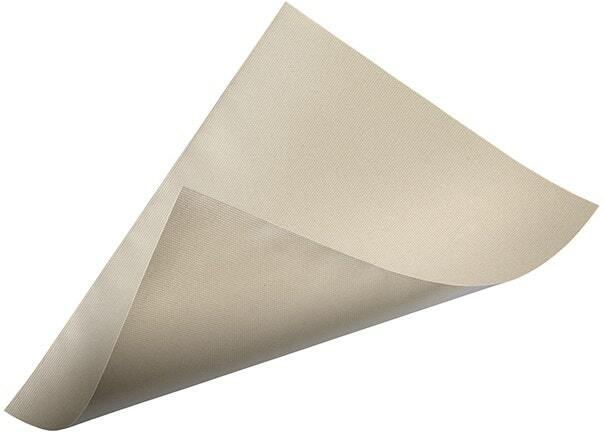 Great material, nice weight. Straps to assist putting it on and taking it off. Purchased this item to protect the swing and its canopy. Bad mistake!! First rain and the top formed a large pool of rain collection which in turn from the weight destroyed the canopy top material. I have placed the front legs of the swing on the cover to keep it tight and the back although raised I have placed ties and bungee cords to keep it tight. But rain still pools. I'm not happy with this product. I have purchased other items in the past and have been very happy but not this item. Needs a redesign. 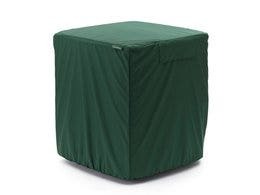 I purchased the large cover for my patio swing because the smaller one was too small, The large is VERY large and overlaps quite a bit. However I was extremely impressed with the quality and will somehow manage to scoop up the extra length so it doesn't trail on the ground. It has solved my problem of where to store all my chair cushions to keep them clean and dry - I just pile them up on my swing seat and zip the cover closed. So much easier then having to bring them inside the house and then try and find large sealable bags and a place to store them. Very happy with the purchase of a swing cover, it fits perfectly and will be great for spring when the pollen is all over the place. Couldn't be happier with this purchase. I actually talked to a person and she was most helpful in selecting the proper canopy and was most generous with my order.The product arrived earlier than promised.The quality of the construction of the canopy is very good.Perhaps my only concern is how the material will wear, but time will tell. I am always a little cautious, but they are a good company.I especially like the snap covers over the zippier tabs that hold them down, keeping the zippers from creeping up in the wind.We have had "RAIN" here in WA the last couple of days and the swing pads are dry and no sign of leakage.